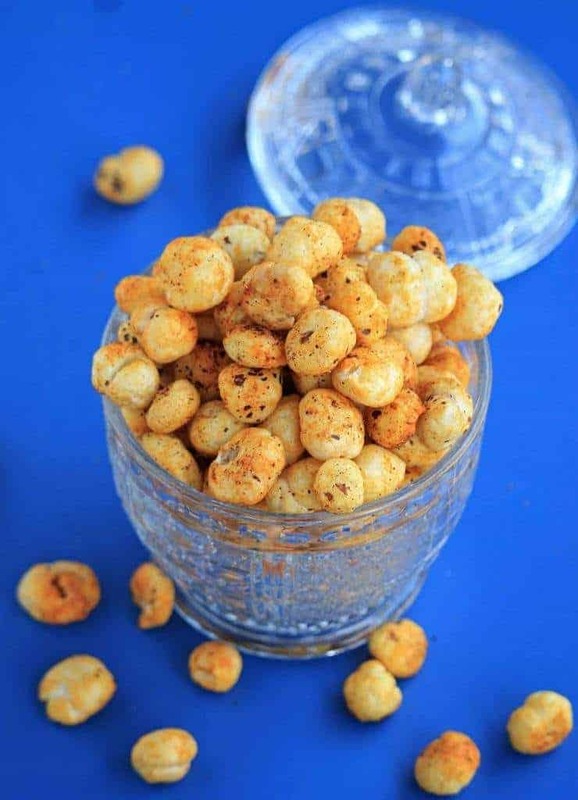 A delicious and crunchy snack made with Makhana / lotus seed. 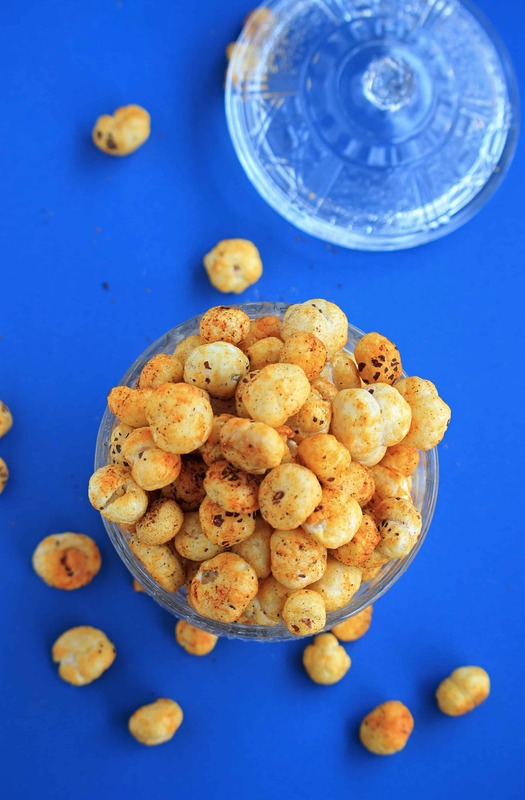 Enjoy the spicy snack that is also healthy and low in calories. 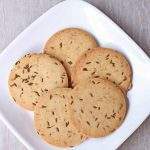 This week I am working on recipes that could classify as Elevenses. Elevenses is a English practice to take a small break before lunch to consume a small snack or drink. 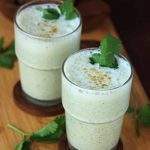 If you want to read more about this, hop over to my Masala Chaas recipe where I discussed further about it. My second recipe under the theme is this Spicy Roasted Makhana | Roasted Foxnut. Makhana is my new found ingredient that I just discovered a few days back. 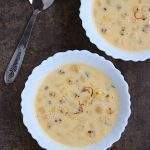 I used it to make this delicious Makhana ki Kheer / foxnut pudding, a few days back. 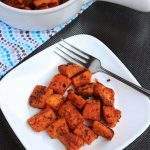 Spicy Roasted Makhana | Roasted Foxnut, was my first choice of recipe to make when I bought the bag of makhana from our local Indian stores. My husband was really looking for this spicy snack and I was so excited that I can make it for this theme. 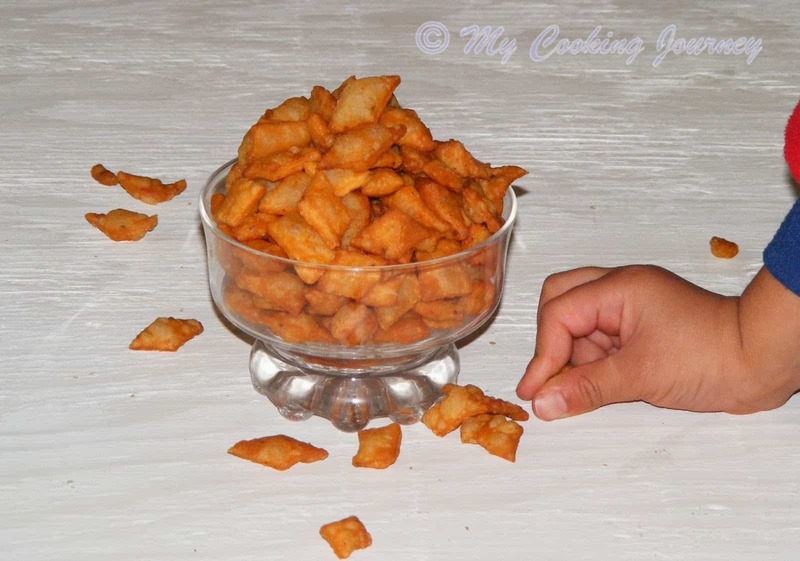 The recipe is so simple to make and takes just 10 minutes. 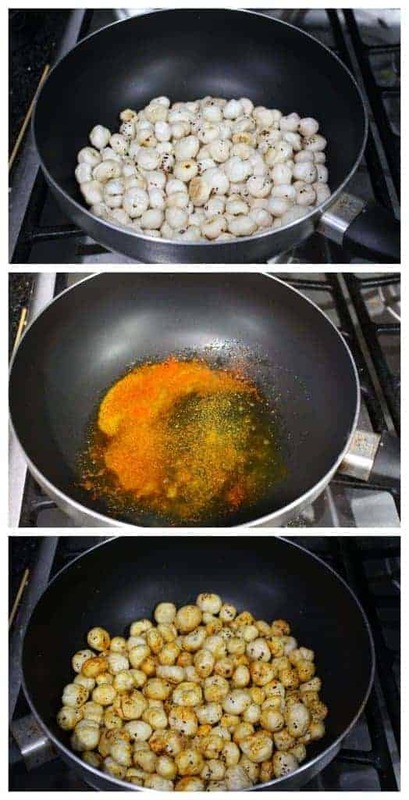 We can adjust the seasoning as per our liking and since it is my first time I am making it, I kept it quite simple. My husband has been eating this non stop ever since and for once this is a snack that I don’t have to stop him from eating. Makhana / fox nut has protein, potassium, phosphorus, carbohydrates, fiber, magnesium, iron and zinc. All this makes it a best snack option. Makhana by itself has no flavor or taste, but can easily take up any flavor that it is cooked with. Because of all its health benefits and low caloric value, this is a really good snack. Heat 1 tsp of oil in a wide pan and add the measured makhana / foxnut. Roast the makhana in low flame until aromatic and crunchy. It will take 7 to 10 minutes for the makhanas to completely roast. 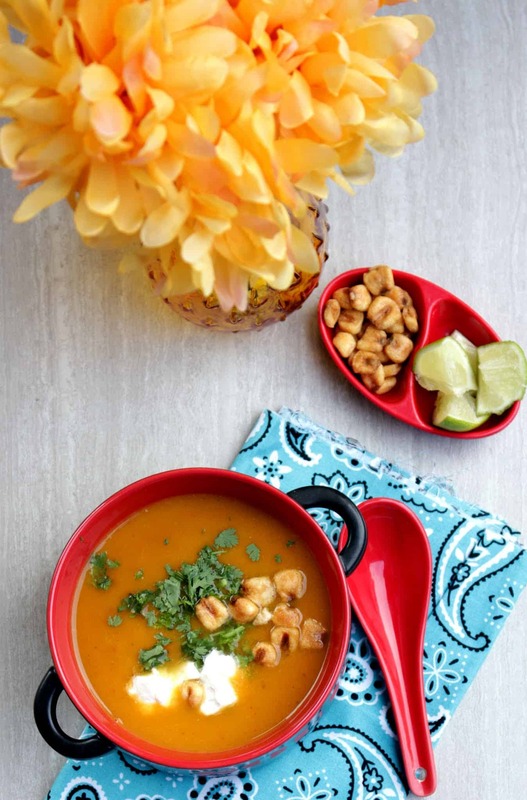 Remove the roasted foxnut in a plate and in the same pan, heat the remaining 1 tsp of oil. 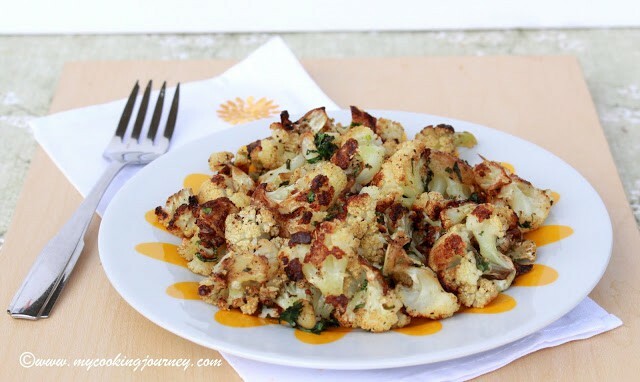 If you are not a vegan, you could also use butter to make it more flavorful. Add the turmeric powder, red chili powder and salt to the hot oil / butter and add the roasted makhana to the pan. Toss well to combine. 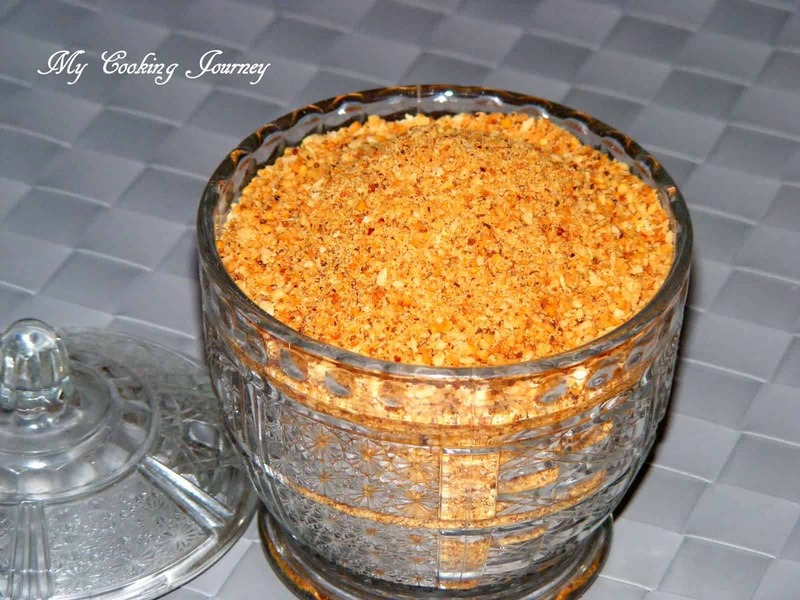 Turn off the flame and when the makhana is still warm, sprinkle the chaat masala if using. Mix again and store in an airtight container when completely cool. Enjoy the crunchy makhana with tea or coffee. 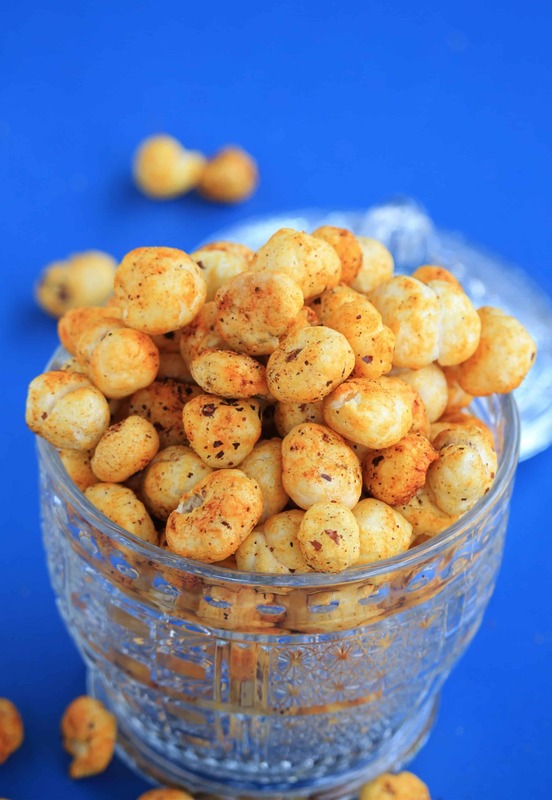 Those roasted foxnuts are just prefect to munch without any guilt, such a fabulous gluten free and vegan snacks to indulge na. 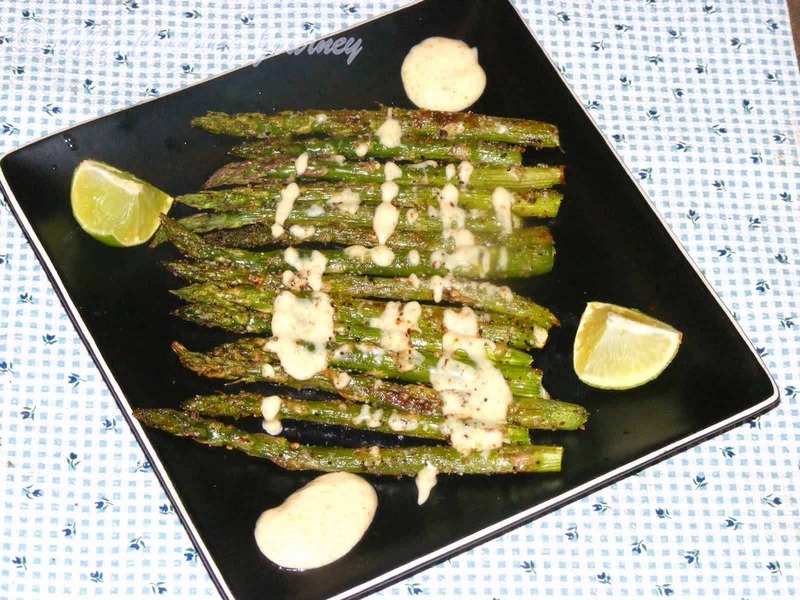 I used to make this regularly because of its amazing taste. I am tempted to try it again seeing your beautiful snaps. Yum. 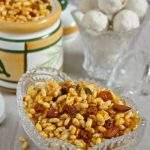 One of the best ways to enjoy these fox nuts. We love it for its simplicity. Very appealing pictures. This one is awesome Sandhya, though I am yet to get a taste of the Makhana. Maybe one of these days I will taste it…this is surely a quick one to make though. That surely is one guilt free and yummy snack. It looks very inviting. Yet another favorite recipe of mine. So good and so yum. I made it once in kheer but this looks like such a great snack and did not know it had so many health benefits.